Work smarter, not harder. Now that’s a mantra we can all live by. 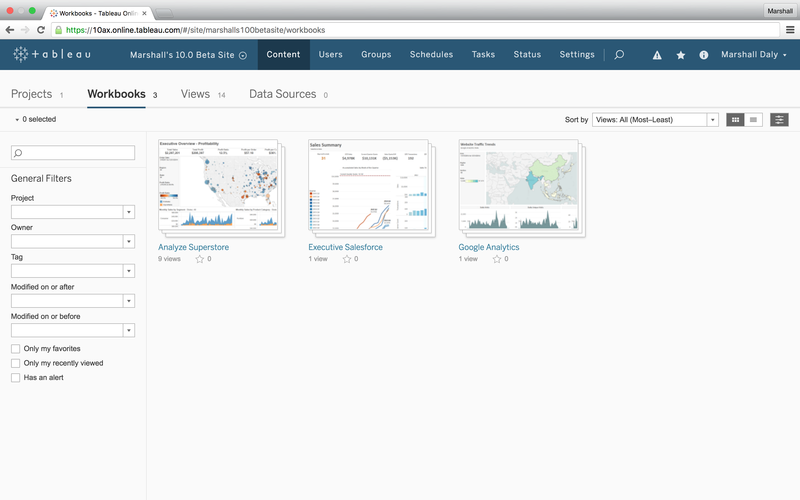 Tableau 10 brings smarter, more powerful analytics to Tableau Online. You’ll spend less time worrying about your data and more time digging into it. 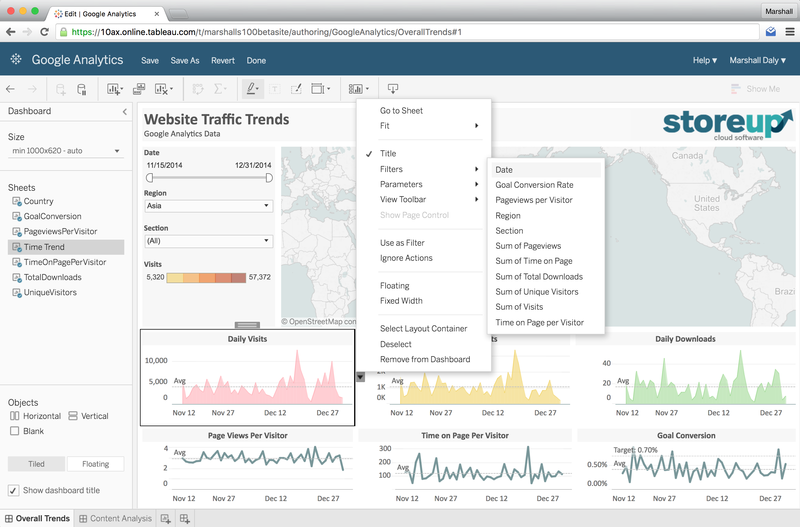 In addition to the dozens and dozens of new features coming to Tableau Desktop, here's what's new in your Tableau Online site. Web authoring now includes more tools to help you edit and build analytics, all within your browser. You can create new dashboards and edit existing ones from the web-authoring interface in Tableau 10. You can also add published data sources to your workbooks and blend them with existing data in your vizzes. 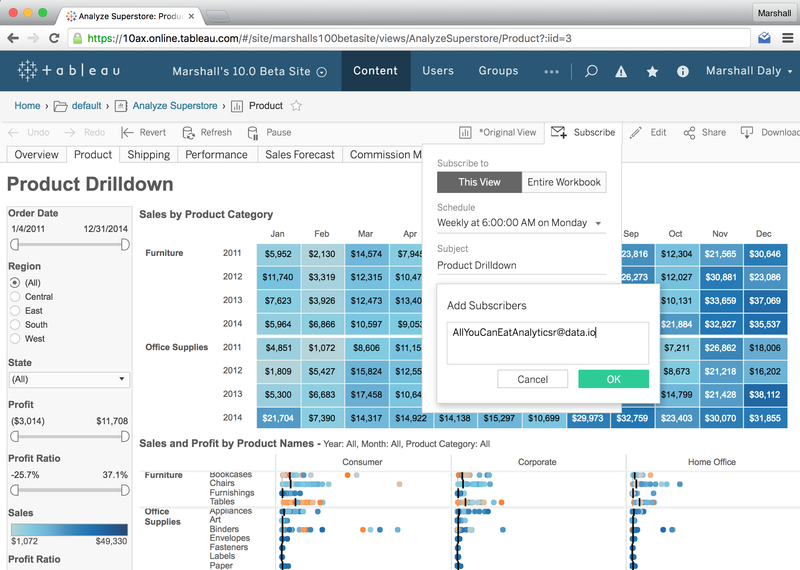 Tableau Online 10 also sports an updated look with clean colors and simplified icons. It’s new yet familiar. But we didn’t stop with the pixels. 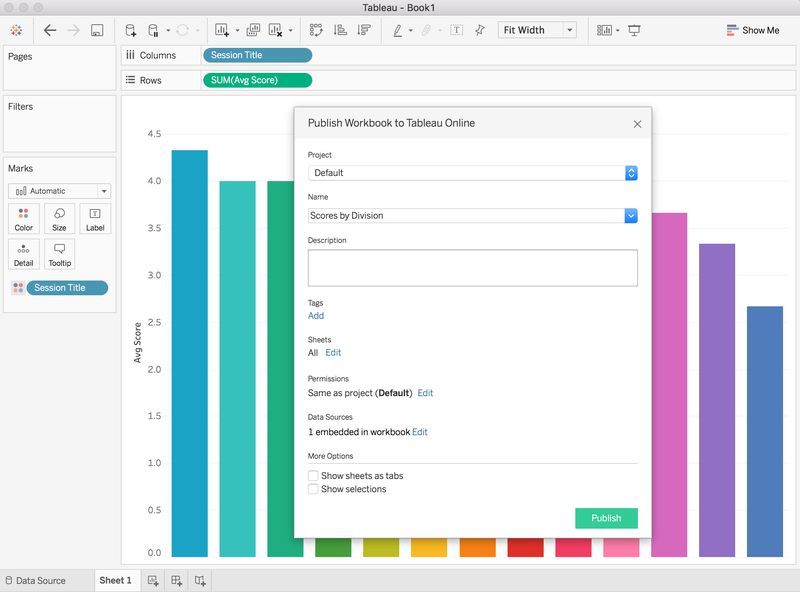 The new web-editing toolbar mimics your Tableau Desktop interface and includes new features like the ability to quickly format entire workbooks and control data highlighting. You’ll also notice that all of this happens a lot faster. Thanks to updates in the caching used by your site, we’ve reduced viz-load times in Tableau Online 10. Ensuring data stays fresh is one of the most important and time-consuming requirements of data analysis. So we’re doing more of the work for you. 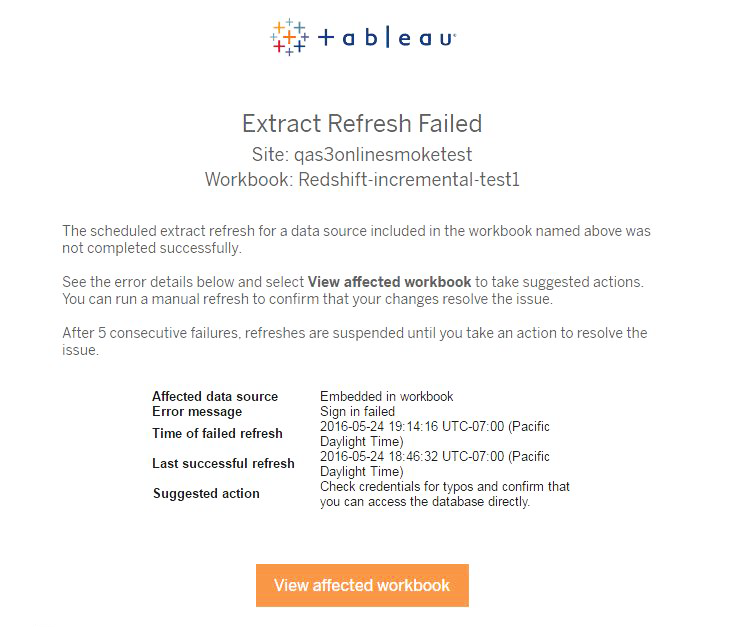 In Tableau 10, we’ll automatically notify you via email if a refresh fails for any cloud-hosted data connection published to your site. But that's not all. Have you heard Tableau 10 supports cross-database joins? If so, you’ll be excited to learn that Tableau Online’s sync client now automates refreshes of integrated data sources, which include cross-database joins and any other data sources built from two or more connections. Managing all your analytics content is no small task. So we’ve made some changes to give you more control and provide a higher-level view of everything happening on your Tableau Online site. 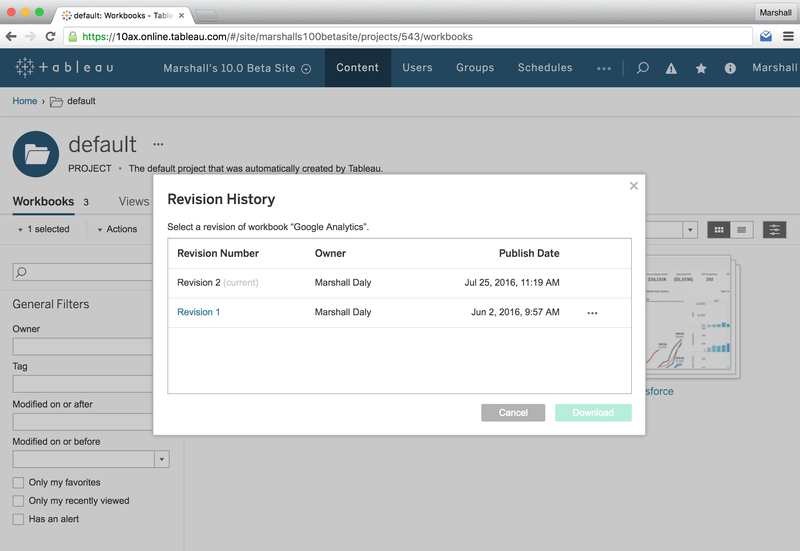 In Tableau Online 10, revision history is available for all your workbooks. With one click, see a workbook’s entire history and restore it back to a previous version right from your browser. Managing your site’s content is also about ensuring your coworkers receive timely updates. To help streamline that process, Tableau Online 10 lets you subscribe others to viz updates. Just like subscribing yourself, choose the schedule and details of the update to be delivered to your friend’s inbox. Tableau 10 unleashes connections to even more data sources. Publish and share analytics powered by your favorite cloud services, including Google Sheets and Quickbooks. Other new data connections include MemSQL, Kognitio, Presto, and more. The Web Data Connector (WDC) has also graduated to version 2.0. Developers can now use the WDC to build web connections that return multiple tables, support joins, and more. Read more and get started on our GitHub page. The best part of all? You don’t need to do anything. Sit back. Relax. Maybe even read up on data’s move to the cloud. 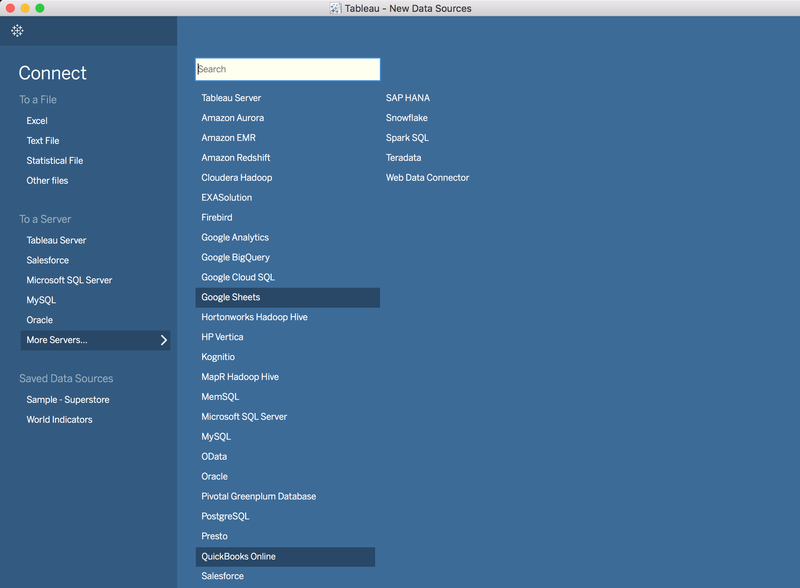 Tableau Online 10 is a zero downtime upgrade. You’ll see all the updates in this post roll out to your site with no interruptions in access to your analytics. There are dozens and dozens of new and updated features in Tableau 10 coming to Tableau Desktop as well. Get ready to enjoy a brand new look and feel, and upgrades that help you prep, analyze, and share your insights even faster. Check out our Coming Soon page for details.